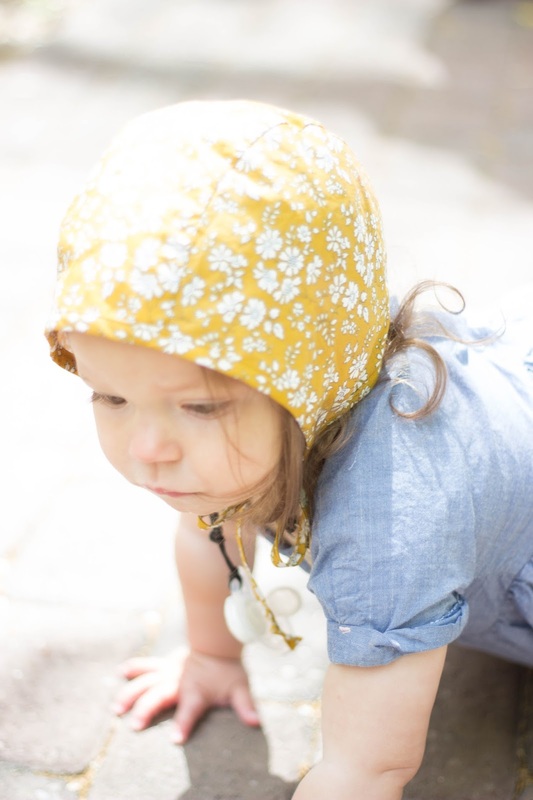 Briar Handmade Bonnets | For the Joy of Life. To say I'm completely obsessed with my little Oaks in her perfect Spring bonnet would be a complete understatement. 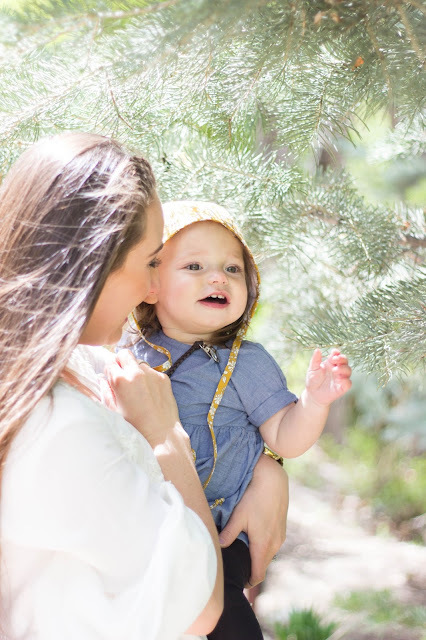 Her absolutely adorable, and completely functional statement piece is from Briar Handmade, and it is just the cutest. Every single baby needs one of these bonnets for several reasons. 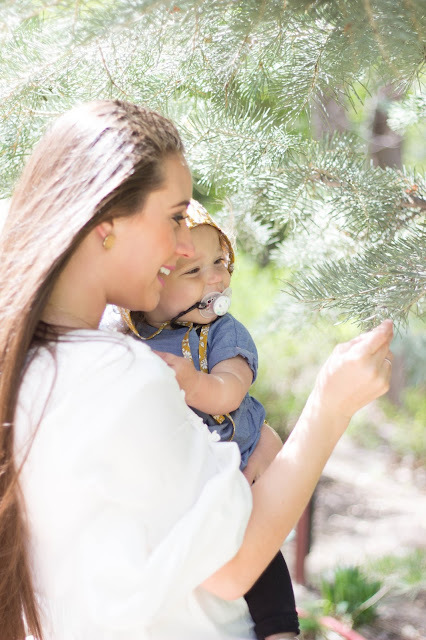 One being how stinkin cute babies look in them, but two being that they are perfect for more extreme weather... which we get a whole lot of in Utah! We took these pictures on an incredibly windy day but the wind didn't even phase Oaklyn. Not only that, but all her hair wasn't blowing in her face because it was tucked away neatly in her bonnet. During sunny days it prevents scalp sunburns and during colder days it keeps her little ears warm while also looking so cute! 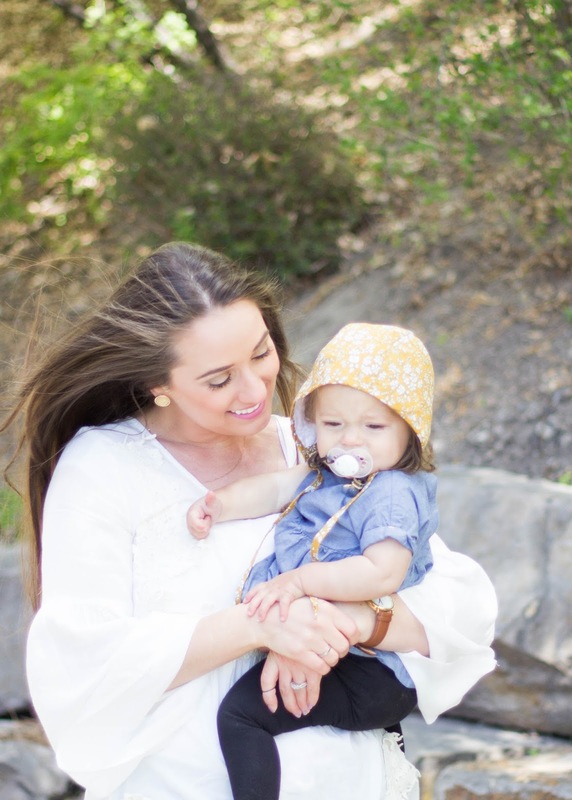 Rachel Goode, the founder of Briar Handmade, began creating her signature bonnets shortly after the birth of her sweet daughter Gracelyn Briar. She understood the need for a tie-hat that was both beautiful and functional and took the crafting into her own hands. The great response to her handmade and heartfelt bonnets from everyone was just the beginning, making this company what it is today. 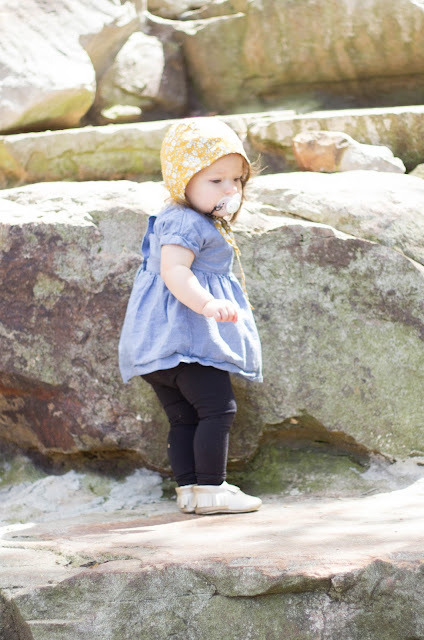 These precious bonnets are made for the little people in your life and help create moments you will cherish the most. 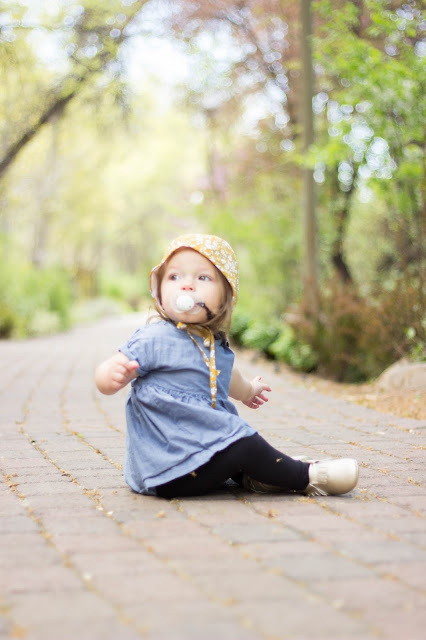 Briar hand picks the very best materials for style, quality, and function to form the most beautiful and functional bonnets for your little ones. 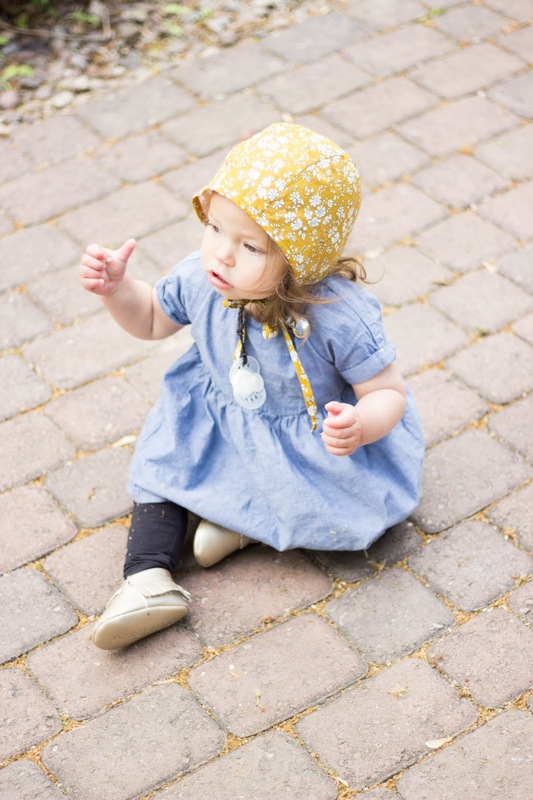 Briar Handmade is based in the beautiful Pacific Northwest, and all bonnets are proudly (and carefully) manufactured in the USA. 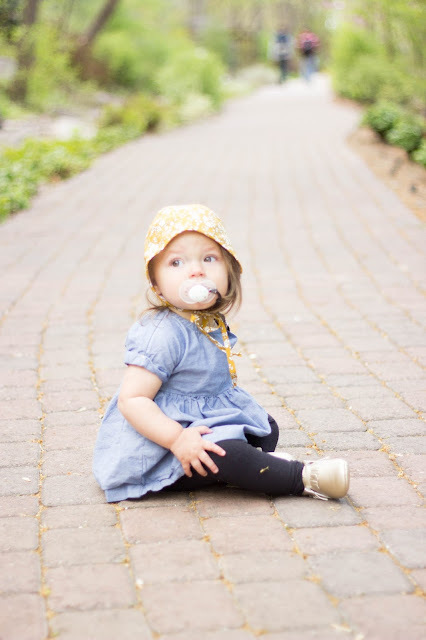 When picking a bonnet for Oaklyn, I had the hardest time deciding! They are all so very cute, but I decided on the Buttercup style because I love that the colors work well with every season. Especially my favorites, Spring and Fall! However, you really can't go wrong with all the adorable prints they have. 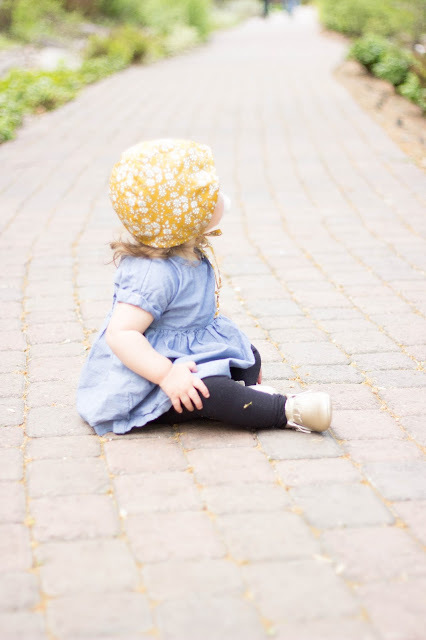 What is your favorite Spring bonnet?